Click to read the Strategic Plan for Creating a Robust Coastal Economy with Coastal Restoration. A robust coastal economy depends on and reinvests in environmental protection and restoration. The North Carolina Coastal Federation is working with federal, state and local leaders, economic developers, private businesses and coastal residents to create and implement an economic development strategy for the coast that also protects and restores coastal resources. Investment in coastal restoration creates short-term and long-term jobs, boosts fisheries and ensures a clean environment that benefits the tourism industry. State investment in this strategy is critical in order to secure competitive federal funding that will help stimulate economic growth. Our staff developed a draft comprehensive strategic blueprint to explain how programs and projects that protect coastal resources also strengthen economic growth along the coast. Growing the oyster industry will continue to be a priority, as the success of that industry benefits fishermen, contractors involved with environmental restoration projects, tourism and related service industries. Projects aimed at repairing environmental damage have started becoming much more commonplace in coastal North Carolina. 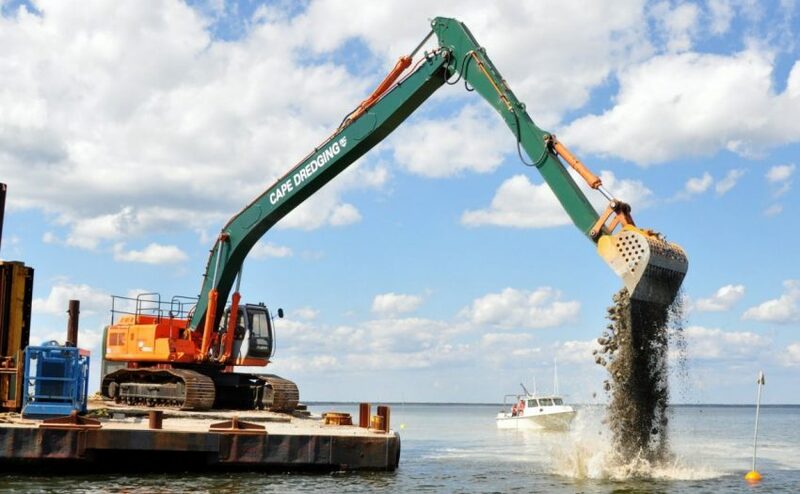 Coastal restoration projects are normally evaluated based upon their environmental benefits. However, restoration projects also provide a suite of economic and community benefits. Over the last few years, the federation has been promoting how coastal restoration and economic development are closely tied together by demonstrating how restoration can create jobs and boost growth in industries like tourism and fishing. To better document these benefits, the federation commissioned the Research Triangle Institute International to evaluate the direct economic benefits resulting from four of our restoration projects. The study found that for every $1 million spent on restoration projects, about 15 full time jobs are supported. It was also found that coastal restoration projects provide significant economic benefit to areas of the coast that are economically depressed and have difficulty attracting industry or new business to their communities. The federation is now working directly with communities to introduce coastal restoration as an economic development tool. We are engaging key stakeholders, decision makers and partners to scale up the economic benefits of coastal restoration into a multi-million dollar strategy. Learn more about our Sound Economic Development Summit and view presentations.